In 2017, renewables accounted for 70 percent of net additions to global generating capacity. Renewable power generation capacity had its largest annual increase yet, with an estimated 178 GW of capacity added. 52 GW of this capacity was contributed by wind power. Let’s break down the top 5 countries worldwide with the largest cumulative capacity, as of December 2017. Spain has recently made a dramatic return to the wind energy market – and is only second to Germany in terms of installed capacity, with over 23 GW of installed capacity. Asia remains, for the ninth year in a row, the planet’s largest regional market for new wind power development. India installed more than 4 GW of new wind power capacity in 2017. 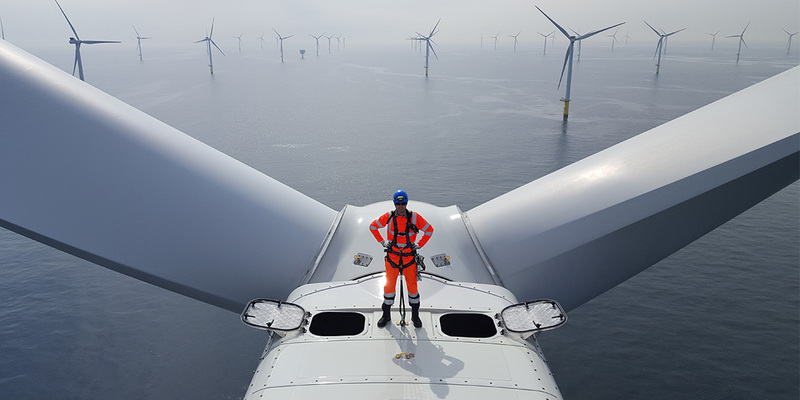 The giant of Europe’s wind industry, Germany installed more than 6.5 GW of capacity in 2017, a 15 percent increase compared to the previous year. This accounted for 42% of the total EU new installations last year. The wind market in the U.S. installed over 7 GW in 2017. Texas remains the biggest Stateside player, with more than 22 GW of wind power.